BHD Researcher Interview: Mitsuko Furuya is a clinician and researcher in Yokohama City University. Mitsuko is part of the BHD-NET team in Japan who are working to increase awareness of BHD across Asia. Their research focuses on enhancing understanding of the pulmonary and renal pathologies in BHD. We encountered a female patient with repeated episodes of pneumothorax in 2007. Radiological and pathological findings of the lung were unusual for conventional bullae/blebs. Primary spontaneous pneumothorax, LAM and endometriosis were all not likely, and BHD syndrome (BHDS) was suspected as the underlying disorder. Unfortunately, we had little information about and no experience of the disease. Therefore we started to study BHDS-associated lung pathology. After we published our first research on BHDS in 2009, more and more patients suspected to have BHDS were referred to us. Therefore we organised a medical team, namely BHD-NET, composed of pathologists, physicians, surgeons and genetic counseling specialists to diagnose and care for BHD patients and families. Now many physicians all over Japan who treat BHDS-suspected patients can access us through our website (http://www.bhd-net.jp/) and/or consultation system run by the Japanese Society of Pathology (http://pathology.or.jp/). Our project is supported by Japan Society of Promotion of Science, the Ministry of Health, Labour and Welfare, the Ministry of Education and Science, and a few private foundations. Most of us work in university hospitals and research labs (departments of pathology, urology, pulmonology, and genetics). We have different medical specialities and careers, which helps us carry out our mission. We have been focusing on clinicopathologic studies of BHDS using surgical specimens obtained from patients with pulmonary cysts and renal neoplasms. Using BHDS-associated renal cell cancer tissues, we are currently attempting to establish cell-lines to perform in vitro studies. We expect that induced Pluripotent Stem Cells (iPSCs) and/or immortalised cells from patients’ tissues, if they can be successfully established, will be useful for signalling analysis. A series of clinical and basic research reports on BHDS is actively published. All of them help us understand the disease better. We are currently interested in the observation that BHDS patients can have disorders in organs other than the kidney. We are investigating the possible association of these disorders with FLCN dysfunction. There are many impressive research papers. We are interested in all findings associated with intractable diseases. As we have collected many surgical specimens obtained from patients with BHDS and other undiagnosed disorders, we look for histopathological findings that potentially link to research interests. To work on Ministry of Health, Labour and Welfare of Japan to include BHDS in the list of intractable diseases applicable to the medical expenses subsidy system. As general physicians gradually acquire more knowledge of BHDS, the number of BHDS patients detected in Japan will increase. 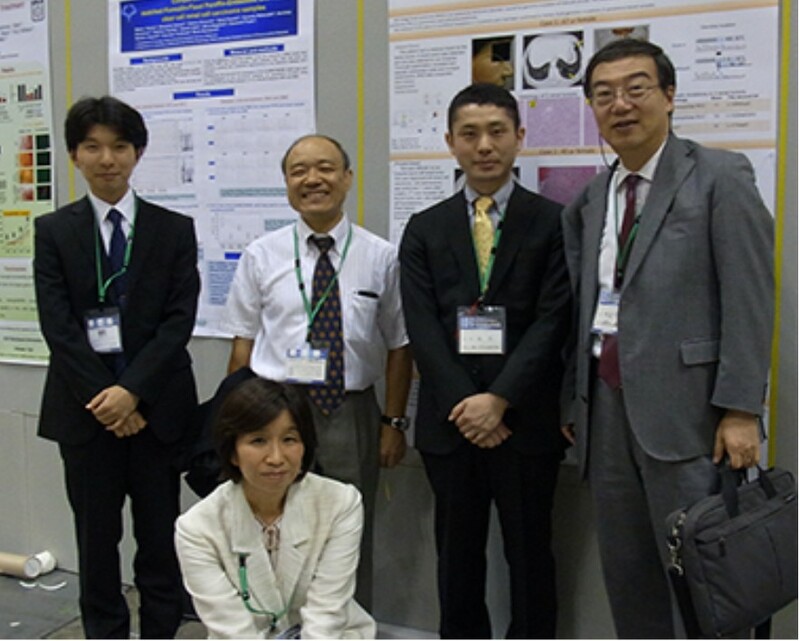 We will work to establish diagnostic and clinical practice guidelines in Japan. Both basic and clinicopathologic studies will contribute to better understanding of this disease and to the development of more effective and safer therapies. BHD Personal Story: Anna is from Sweden and was diagnosed with BHD in 2008. I think it was 2008, maybe 2009. I have had lesions on my face since I was 16-17 years old. At first I thought it was sunburn but they never went away. I went to the doctor a couple of times to find out what it was but always got reassurances that it was nothing. As the years went by my father’s lesions got worse and in 2008 he was at the primary care centre for another thing, but that doctor wanted him to see a dermatologist. After meeting one he called me and said he was told that he should have a lung x-ray but, as he hadn’t understood all the doctor had said, didn’t see the point. At first I was really sad. And after both of my daughters were tested positive I was devastated and had a lot of thoughts about how I contaminated them. I had a lot of questions but all I could find out was some information on the internet, and that was all the doctors who did the genetic test knew as well. Yes. I told both my girls when I got the diagnosis, and I told them that they has the gene as well. They were small then but I wanted them to know even if they didn’t understand, I didn’t want them to get the news when they got 18. They ask medical questions sometimes but it’s no big deal for them right now. I don’t know really. I am mostly afraid that someone will get cancer. I tried the internet and I searched on Facebook. I couldn’t find that much then, but I’m glad that I now have contact with others that have BHD. I know that genetic testing is not recommended until 18 years of age, but for me it has been good to know. I think that where you live can make a big difference; in Sweden all our healthcare, including genetic testing, is paid for by taxes and is free and equal for all. Yes, I decided to get the girls tested when I got my diagnosis. They were 3 and 7 years old then. No, not really. Maybe to take the lesions seriously. It’s important, if they bother you, to have removing them as a possibility even if they’re not malignant. I had my pleura removed four years ago, and since then have had no more pneumothoraces. So I have my lesions, hundreds, on my face and chest. Also hundreds of skin tags as well. I had the pleura removed. I have had laser treatment to remove my lesions several times, and I could get such treatment every year if I wanted. However I haven’t done so for a couple of years as it is painful and afterwards you look terrible with all the small wounds while they heal. I will continue to have my kidneys checked every year. I worked at the dermatology department at Karolinska University Hospital at the time of my diagnosis so knew doctors there. The colleague that diagnosed my clinical symptoms referred me to the doctor she knew was best in his field, although this was in a different hospital. I do still see my dermatologist for laser treatments. However it wasn’t until after my third, larger, pneumothorax that I saw a pulmonologist and those problems were followed up. I believe I was the first BHD patient that had been seen there. Again this was in a different hospital. I have learned from the BHD-group on Facebook, were I met other Swedes, that they have met other, more specialised BHD doctors. I am thinking about contacting these teams but I haven’t yet. 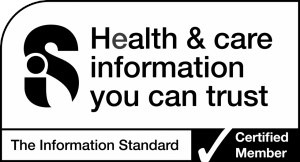 I live in Sweden where our healthcare systems are different to others; it is free and equal, and paid for by taxes. This has made access to treatment easier for me. The doctor I met for genetic testing knew less about BHD than I did which was a huge disappointment. I don’t remember if the other doctors I’ve seen have known much about BHD or if I have told them what I know. 14. Has BHD has any health insurance implications for you? Not for general healthcare insurance as we don’t need it in Sweden for access to healthcare and check-ups. I have never needed to worry about costs or if my insurance will cover costs or testing. I will have ultrasounds or x-rays every year for the rest of my life. We do have extra insurance for the girls, we have had it since before they were born and it’s for extra costs. If I needed extra insurance then it would have to contain clauses for everything related to BHD, but as I’m overweight I don’t need tend to get extra insurance anyway. I just wish for my girls to have children and that they won’t inherit the mutation. My grandmother had quite a long life even though no one knew what the problem was (she probably had pneumothoraxes all the time) and she didn’t get proper treatment. I hope this will be the same for the rest of my family. I also hope that no one will get cancer. Read everything you can, and join the facebook groups if you want contact with others with BHD. To talk about BHD and its symptoms to help spread information about the disease. To get regular kidney checks.